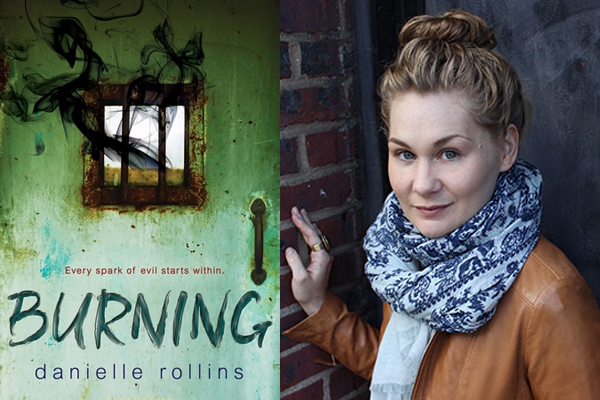 Burning by Danielle Rollins is a young adult thriller novel set in a juvenile correctional facility called Brunesfield. Angela Davis has spent three years inside and is just a few months’ shy of release. She’ll finally be free soon, but then Jessica arrives. She’s only ten years old, and there are a mountain of rumours that follow her inside. She is under the highest security possible, which has all the girls on edge and whispering. Apparently Jessica killed her family, and that just makes Angela even more worried that something is going to happy to prolong her stay at Brunesfield. And then, strange things begin happening. Fires start, and Angela begins to see things that she couldn’t possibly see. These things can only be traced to Jessica’s arrival – it becomes clear that Brunesfield is no longer safe, but Angela can’t do anything about it. And Jessica is then put under her care. They must find a way to get out, now. Jessica seems to have abilities – she can set fires with her mind. And Angela is forced to care for Jessica and take her under her wing. She seems to be the only person who Jessica will talk to, and Angela and her friends Cara and Issie are worried. But then it becomes clear that Jessica and Angela are more in danger than the staff of the correctional facility are, and Angela begins to uncover secrets that Brunesfield is hiding. Burning is a quick read. It’s not an overly long novel, and the chapters move at a fast pace. And the characters are unique but relatable. Strong, but compassionate. Outspoken but at times they are kind. This book blends science fiction and paranormal elements into its contemporary setting, and I really enjoyed reading it. It think it’s quite hard to blend those elements together because it can often jolt the reader and cause them to lose interest and stop reading, but I really wanted to find out what happened to the girls, and I really wanted to find out more about Jessica. Danielle was able to take a ten year old girl and make her creepy and disturbing. Jessica doesn’t really say anything for most of the book, but Danielle has characterised her in a really descriptive, imaginative way that she has the reader eager to find out more but also wary about what they might uncover. There are dead rats, burning bathrooms and a mysterious new research company that has taken up place at Brunesfield Correctional Facility. 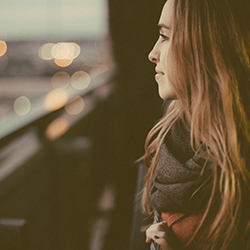 There are many secrets to be uncovered, and this provides to the perfect premise for a young adult novel. I enjoyed this book and read it in one sitting, and the open-ended conclusion of the book implies that a sequel will be coming. I am really looking forward to finding out where Danielle takes this series. It ends on quite an abrupt and ambiguous note, and even though it feels unfinished and at times confusing, it means the reader will pick up the next book in the series when it’s released. Amy recently posted…It’s FANTASY. And there are ASSASSINS. I LOVE IT! You should 🙂 And then let me know what you think!